Go to platform 5-6 and take the NS Intercity towards Dordrecht. This direct train will leave every 30 minutes. Go off at train station Delft. You will arrive at platform 2. 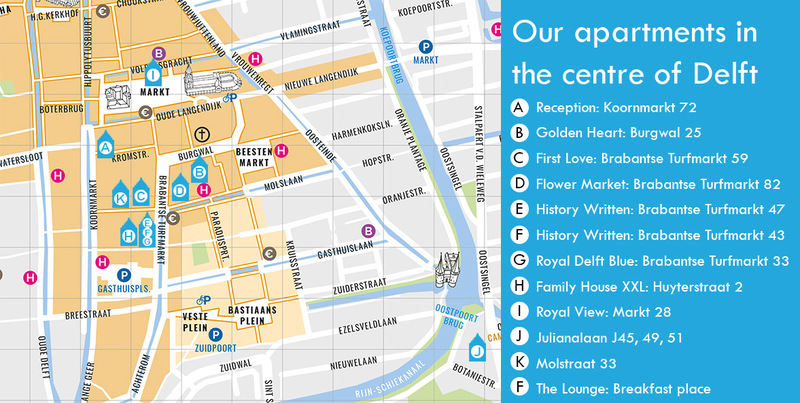 Please download the map with the walking directions from the train station to our reception. 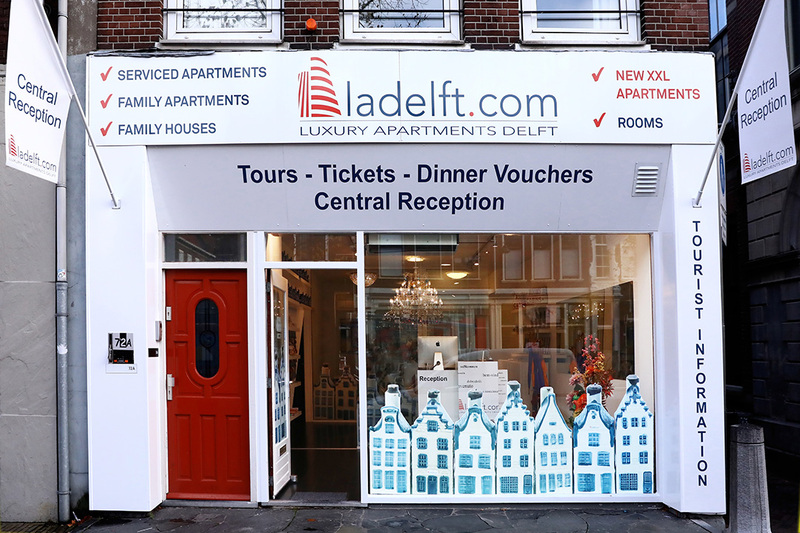 Luxury Apartments Delft can arrange a taxi for you from Schiphol to our reception. Keep in mind that the reservation needs to be made a few days in advance. Go to the official taxi spot on the front side of Schiphol airport. There will be someone to assist you. If you are coming by car towards Delft make sure to take the A13 and take exit 9 at the IKEA of Delft. They both work with an hourly rate and offer a daily fee of € 16. Walk from Rotterdam The Hague Airport to the bus stop Lutonbaan, Rotterdam. From there take bus RET Streekbus 33 towards Meijersplein Metro. Walk to the metro station Meijersplein which is 180-meter walk. Take the subway metro E towards Slinge and go off at Centraal Station, Rotterdam. Go to platform 9 and take the Intercity to Lelystad Centrum. Go off at the stop Station Delft. Walk from Rotterdam The Hague Airpot to the bus stop Lutonbaan, Rotterdam. Take bus 33 to Central Station via Airport. On the half of the trip it will change the information on the bus to Delft station. Go off at Delft station. For the walking directions, we kindly ask you to download the map below. Go to the official taxi spot of the airport.